CHARLOTTE, N.C. (KFSN) -- Dannon, the maker of Oikos yogurt, is cutting ties with spokesman Cam Newton following what the company perceives as "sexist" comments the Carolina quarterback made to a female reporter. Company spokesperson Michael Neuwirth released a statement Thursday saying it was "shocked and disheartened" at the former league MVP's behavior and comments toward Jourdan Rodrigue, a Charlotte Observer reporter. When Rodrigue asked Newton about wide receiver Devin Funchess' route running Wednesday, Newton laughed and said, "It's funny to hear a female talk about routes. It's funny." The Dannon statement noted the company perceives Newton's comments as "sexist and disparaging to all women. ... It's simply not ok to belittle anyone based on gender. We have shared our concerns with Cam and will no longer work with him." Newton hasn't issued an apology. The NFL released a statement on Wednesday saying that Newton's response to the question was "just plain wrong and disrespectful to the exceptional female reporters and all journalists who cover our league." 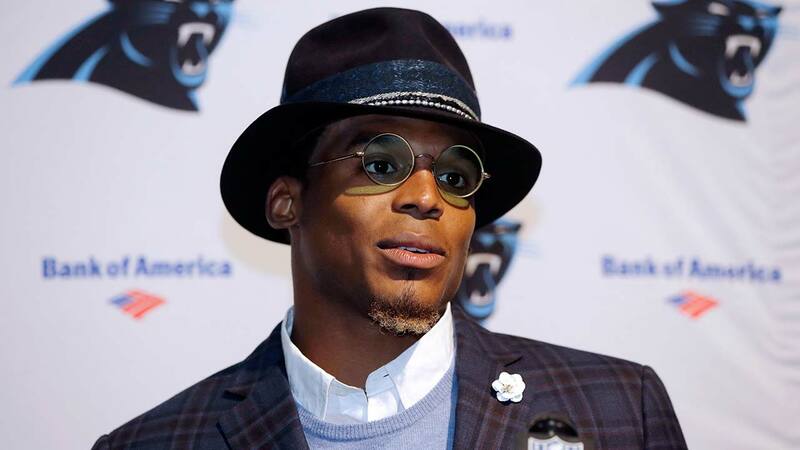 Mike Persinger, the executive sports editor of The Charlotte Observer, said Wednesday evening that Newton's comments were "unfortunate and out of line." The Associated Press Sports Editors announced that it "agrees wholeheartedly that Mr. Newton's response was out of line" and "we ask for a formal apology to Jourdan Rodrigue from Mr. Newton and the Carolina Panthers organization."